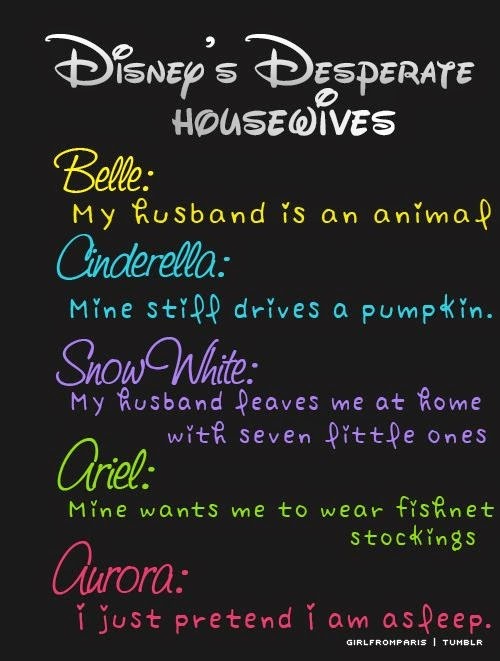 The Disney princesses as desperate housewives! Perhaps you will get a chuckle out of this. I did!